The Pomsky is on the rise. But what is this cute puppy really like? 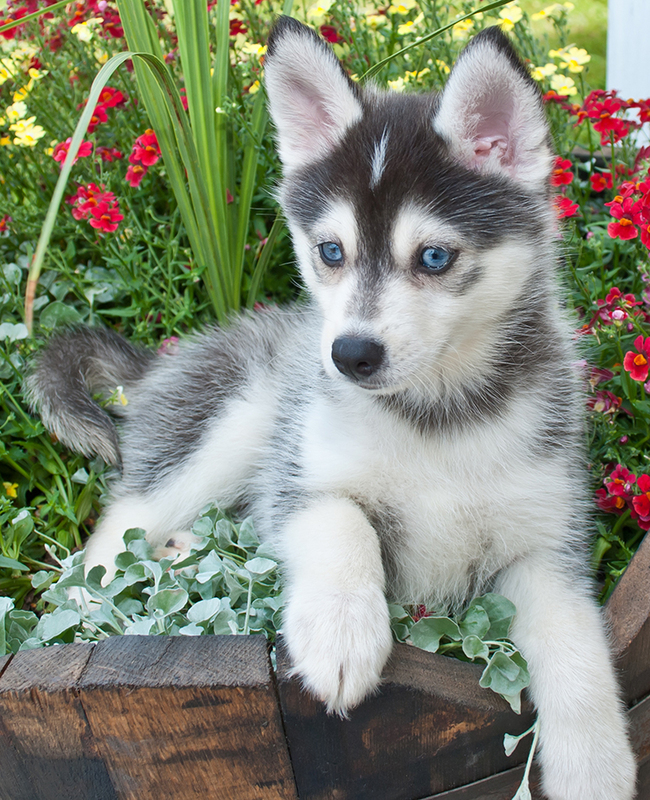 A Pomsky is a first generation cross-breed. A mix between a pure bred Siberian Husky and a pure bred Pomeranian. These are two very different dogs. They have very different origins and characteristics. 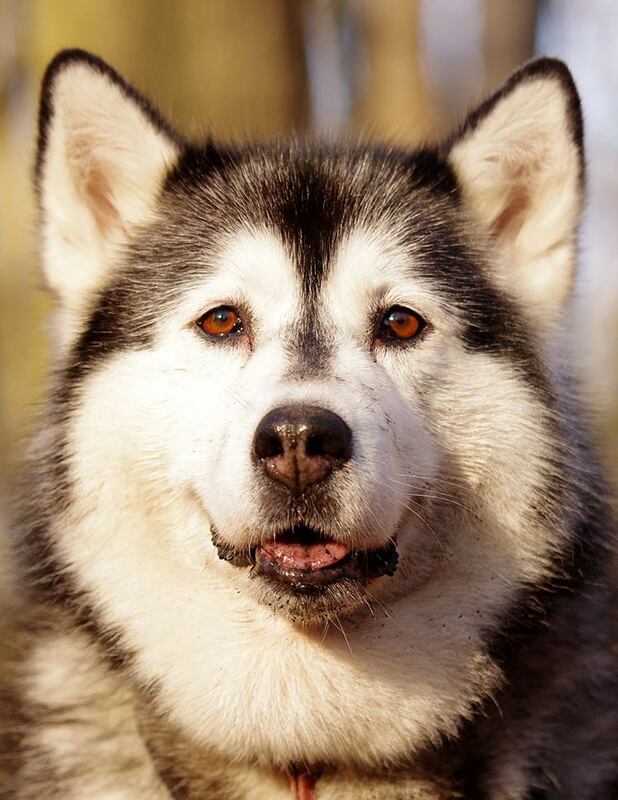 The Siberian Husky was originally a sled dog. Born to haul heavy sleds over icy terrain for hours on end. And to survive on frozen meat and sleep out in the snow! This is a moderately large and powerful breed. Known for having a friendly but independent nature. The modern Pomeranian is quite different. Despite having sled dog origins way back! It is a tiny Toy breed with a big coat. But one that was not built for warmth. 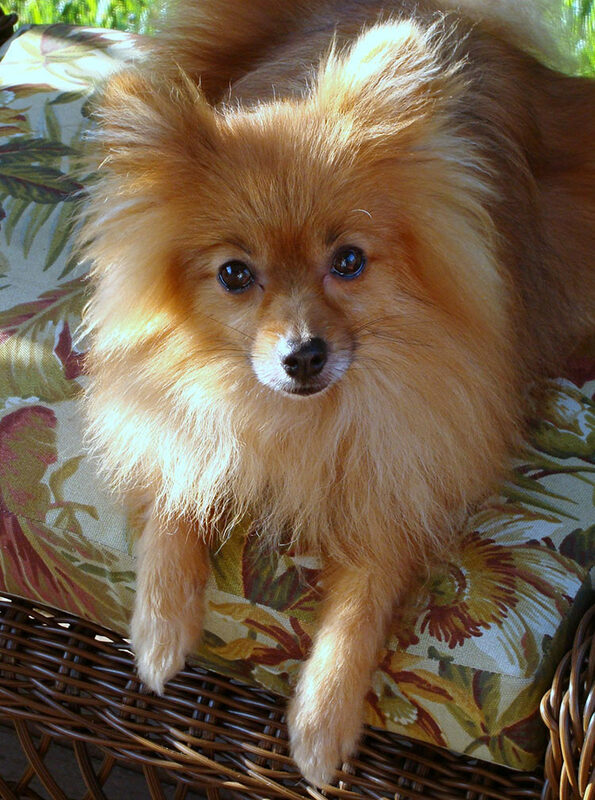 The Pom’s history is that of a lap dog. So what happens when the Husky and Pom combine? Pomskies regularly feature in the news. 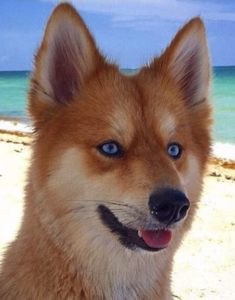 Norman the Pomsky puppy had over 11,000 Instagram fans and rising at the last count. And he collected those in just six weeks. Then there’s Mya from Philadelphia. She has 25,000 Instagram fans! Mya and her friend Dave are well travelled. The appearance of these dogs has a lot in common with the Shiba Inu that took off with the Doge meme of 2013. Like all cross bred puppies though, appearance varies. Mya is quite fox like, but Norman look more Husky than anything else. It’s always difficult to say what makes a particular dog ‘take off’. Why they become popular or fashionable. But there is no doubt that the Pomsky’s pretty face helps. 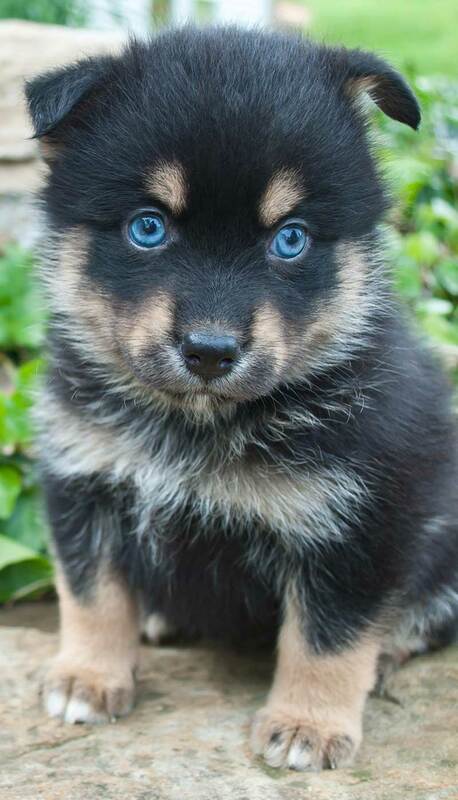 How do you get Pomsky puppies? Pomsky puppies are made by mating a male Pomeranian with a female Siberian Husky. An event that is physically challenging. After all, there is a big size difference. Moving on from here, the mix is crossed further. Some breeders are mating female Pomskies with a male Pomeranian. This is to make a Pomsky that is 75% Pomeranian and 25% husky. First generation (F1) crosses vary. Some puppies look more like one parent than another. You might get a dog that is mid-way in size. Half way between a Husky and a Pomeranian. And with the best aspects of the temperament of both dogs. Or you could get a pretty large dog. A pup with the independence of the Husky. If two of the same F1 crossbreeds are bred to one another, the outcome can be even more varied. This is why so-called designer dog breeders usually stick to creating an F1 cross afresh with each mating. The Pomsky Club of America predicts a weight of 15 to 25lbs for Pomskies that are half husky, half Pomeranian. And a weight of 10 to 15lbs for a dog that is one quarter Husky and three quarters Pomeranian. There are quite a few breeders producing Pomsky puppies. You need to find a breeder who has only used healthy parents for your puppy. And who has raised the litter well. Giving them the best chance at good health and great temperament. Their puppies should be raised with love and care. With access to every day family life. This will help to make sure they are comfortable with lots of sights and sounds. Check out our great guide to finding the right puppy here. Never, ever, purchase a puppy from a pet store or puppy farm. Well known breeds have lots of breeders. People who have been working with their dogs for generations. This means the breeders have less experience. So it can be harder to find a good one. There are however, a couple of clubs now. One is the Pomsky Club of America. Some types of Pomsky are more in demand than others. People often prefer a blue-eyed dog for example. So how much you pay may depend on what the litter turns out like. You are unlikely to find a well cared for Pomsky for under $1000. And may well have to pay several thousands of dollars for the puppy you want. A lot of people will take issue with me even referring to the Pomsky as a breed of course. Because it is actually a first generation mix between two purebred dog breeds. 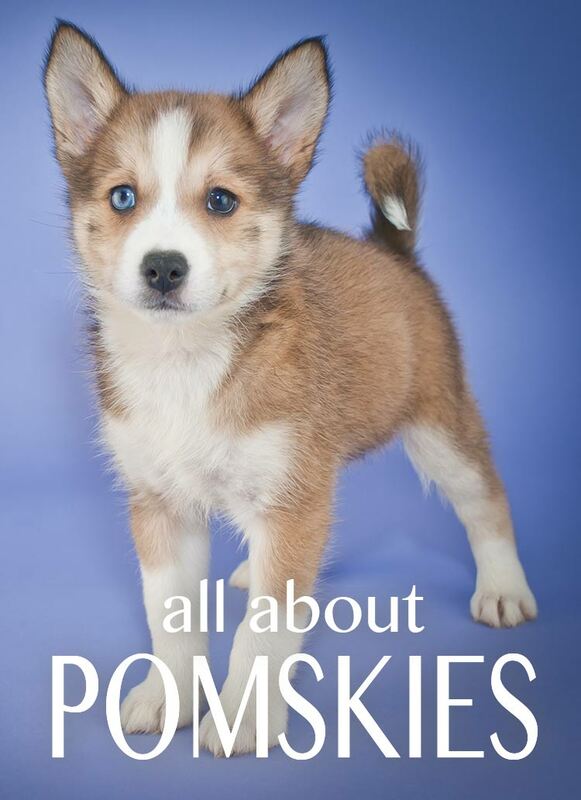 And like all first generation mixes, there is opposition to existence of the Pomsky. Here are some of the claims made about Pomsky breeders. People only breed Pomskies to make money. 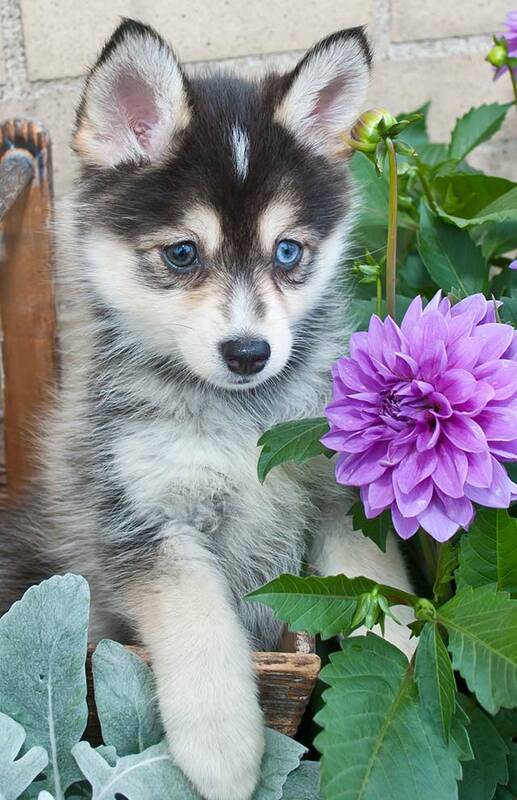 Pomsky breeders rip off unsuspecting puppy buyers. There are no reputable breeders of Pomskies. It is dangerous to cross two purebred dogs together. There are too many dogs already, we should not be adding mongrels. Pomskies have no health tests. There are no good reasons to ever breed two different purebred dogs. Now let’s take a look at the facts. How much you pay for a puppy is between you and your breeder. And between your breeder and the tax authorities! Cheaper does not always mean better. Raising a healthy litter requires time, effort and money. Sadly dogs are not priced according to their potential value as companions. After all, how do we even estimate that? Often are not even priced according to their health. You can, for example, pay a small fortune for a Bulldog puppy in terrible health. Destined for a lifetime of breathing trouble and vet care. As you will discover when you attempt to insure it. Dogs are priced according to what the breeder thinks they can get for their puppies. And that depends very much on competition and demand. If you are aware that you can buy a purebred puppy for less than you are paying for your Pomeranian Husky mix, you are not being misled. 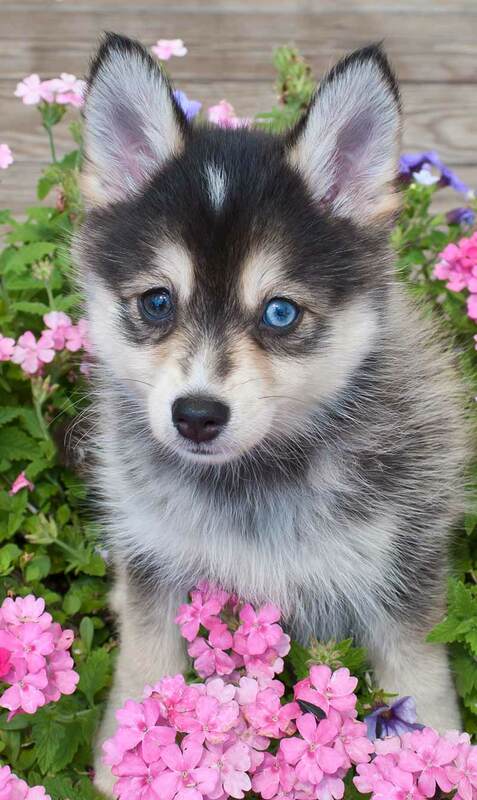 It really is up to you if you wish to pay over the odds for a Pomsky puppy. The answer to this question is – usually, no. Being pure bred is not a guarantee of health. And shockingly, in some cases is a risk factor for health problems. As you can see in our bulldog example above. There are a number of other purebred dog breeds that have serious health problems. Ones that are bred right into their body structure. Dogs with flat faces, and overly long backs relative to their leg length, being prime examples. In addition to which, many pedigree dog breeds, have have too small a population size for good genetic health. Due to being isolated from other dogs for many generations. Small populations are a known factor for increased risk of health issues. However, there is a strong ethos of health testing among purebred dog breeders. And while not all purebred puppies are health tested, it is probably true to say that thorough health testing is less common among breeders of ‘designer-dog cross-breeds’. When you buy a first generation cross-breed each of the parents of your puppy should have had any health tests relevant to their own breed. Purebred breeders often claim that designer dogs are usually bred in puppy mills. And we all agree that puppy mills are a bad thing. In fact, puppy mills often churn out purebred dogs too. The important thing here is to avoid buying a puppy mill dog of any kind. You can find information to help you in our guide to buying a puppy. What is the point in a Pomsky? Those opposed to the Pomeranian Husky mix would argue that it does nothing to enhance either breed. The point of breeding Pomskies is to produce a pretty fluffy dog. One that looks like a husky but is smaller. The idea being this makes it more manageable. The husky is a wonderfully friendly dog. But his size and exuberance can be an issue in some homes. However, there are many other small breeds (and mix breeds) that have similar qualities as Pomskies, without the price tag. Remember that first generation crosses can be unpredictable. The point of Pomskies is often also of course, for Pomsky breeders to make money. But then the same applies to many purebred dog breeders too. 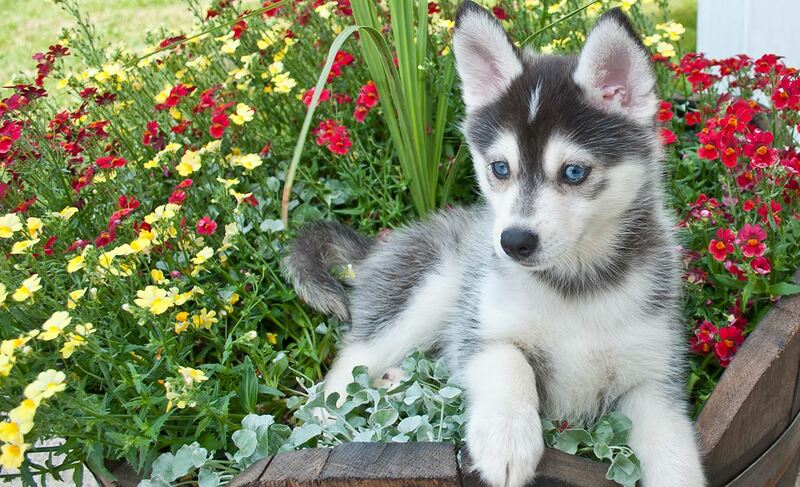 The Pomsky is a small dog with a Husky like appearance. Created by mixing Pomeranians with Siberian Huskies. Some Pomskies grow larger than intended. They might need more exercise and training than expected. Some of those breeding Pomskies are doing it purely for profit. Others are excited at the idea of being part of a movement to create a brand new breed of dog. They hope that the Pomsky will one day be a recognised breed in its own right. Those behind the Pomsky Club of America seem to have this aim in sight. 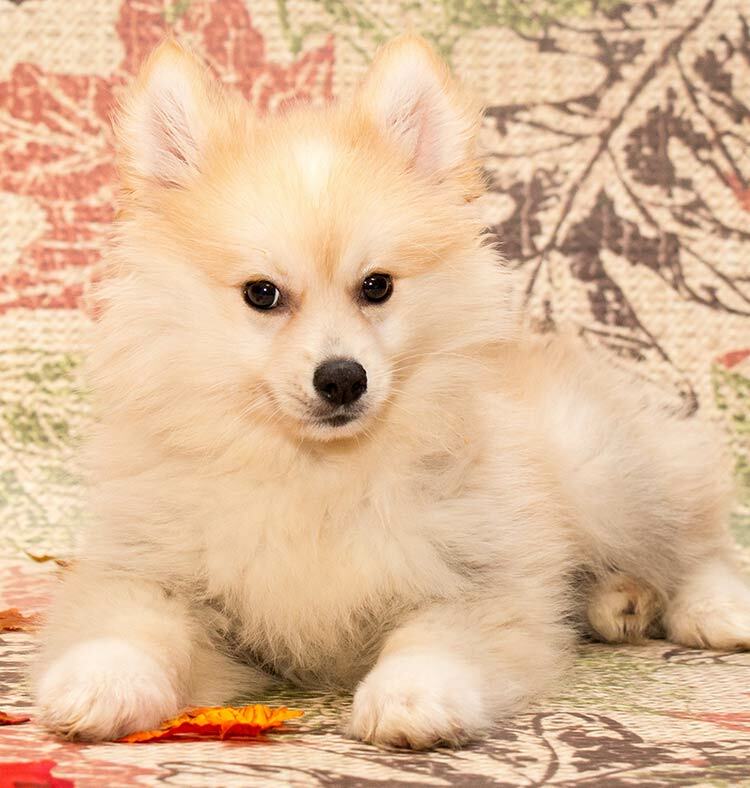 If you are prepared to take a gamble on how your puppy turns out, and as with any puppy purchase don’t have an ethical objection to dogs being bred for sale, then a Pomsky puppy might be a great match for you. Otherwise, finding a full grown Pomsky or looking for an alternative breed might suit you better. Problems are in every dog breed. but a true dog owner needs to know his dogs problems which at crucial times of dog can be taken care.